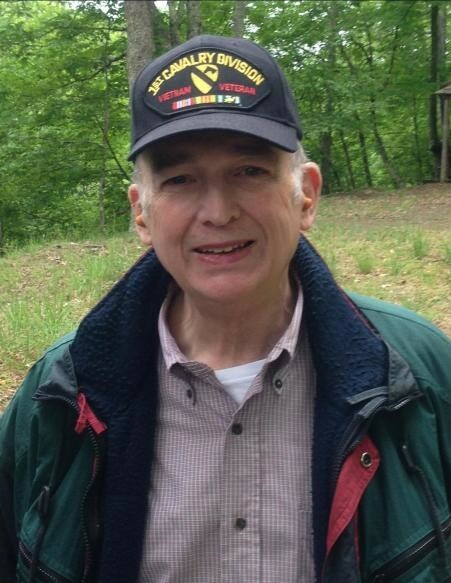 WOODBRIDGE, VA - Barry Davis English, 72, formerly of Jerseyville,passed away Friday March 8, 2019 at Fairfax INOVA Hospital in Falls Church Va. He was a graduate of Jersey Community High School and earned his bachelor’s degree from National Louis University. He served his country with the United States Army during the Vietnam War. An accomplished professional, Barry’s career in Federal Communications allowed him to travel to many countries and meet many world leaders. At the age of 14, his love story with Connie Walsh began. They married on June 18, 1966 and had almost 53 years together. His life centered around his family; He was a devoted & beloved husband, as well as a proud & selfless father and Pop Pop, who held a special bond with each of his 9 grandchildren. He was an avid reader and the wisest man his family would ever know. He enjoyed aviation, target practice, riding his motorcycle, collecting coins, and above all else, his family. Surviving are his wife Constance English of Woodbridge Virginia, a son and daughter in-law, Brian and Carolyn (Eshelman) English of Manassas, VA; three daughters and two sons in-law, Christina (English) Benton of Dumfries VA, Rebecca (English) and Zach Harris of Virginia Beach, VA, Katie (English) and Robert Clowser of Fredericksburg VA; nine grandchildren: Charles and Heather Holmes, Jeffrey and Brittany Benton, Brandon, Jake and Kelsey English, Silas and Vivienne Clowser. Also surviving are a brother and sister in-law, Byron C and Geraldine English of Farmington, Mo. ; his brothers and sisters in-law, Pat and Jack Eccles of Godfrey, Marty Walsh , Barb and Gary Koenig, Terry and Brenda Walsh and Debby and David Hunter, all of Jerseyville. In addition to his parents, he was preceded in death by a brother in-law, Mark Walsh and a sister in-law, Gail Walsh. A prayer service will take place at 10:30 a.m., Saturday, April 6, 2019 at the Crawford Funeral Home in Jerseyville followed by a private family burial at the St. Francis Xavier Cemetery in Jerseyville with the Jerseyville American Legion Post #492 Color Guard conducting military graveside rights. A reception will follow at DJ’s Pub & Grill in Jerseyville, and the family welcomes all to join them in celebrating Barry's life. In lieu of flowers or plants, memorials may be given to Autism Speaks or to the Jerseyville American Legion Post #492 Color Guard, in care of the funeral home. In our sorrow, and in this grief, we take comfort in the fact that his love for us, ever present and never failing, will carry us through the days and weeks to come. More dearly than the spoken word can tell"